If you've bought a crown or roll and are wondering what to do with the legs, wings and steaks. 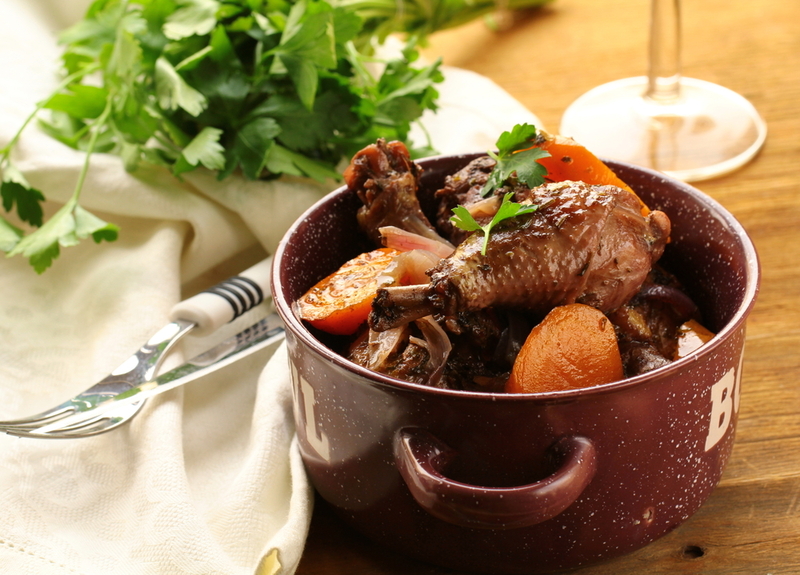 We recommend making a turkey version of "coq au vin". For this we recommend Cordon Bleu coq au vin recipe. 1.2 kg of turkey would feed about 4 people. Double recipe if you have more turkey & consider freezing any leftover coq au vin. Preparation time is approx. 1 hour.